Catch and preserve a real spider web. Spray the spider web with white paint. Bring the black paper behind the web, and slowly move it forwards to catch the web on the paper. Fold the supporting threads behind the paper. 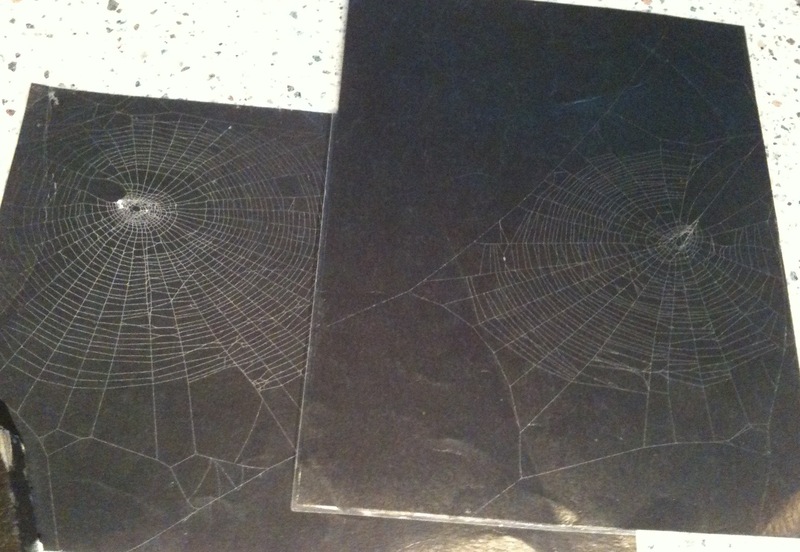 Laminate the paper and attached spider web.